Hello beautiful ladies out there, how is it going? It’s been a hazy hazy month and I hope everyone is still in a pink of health despite the awful weather. “Thanks” to the awful hot and hazy weather, my skin became dehydrated and slightly tanner than it usually was! 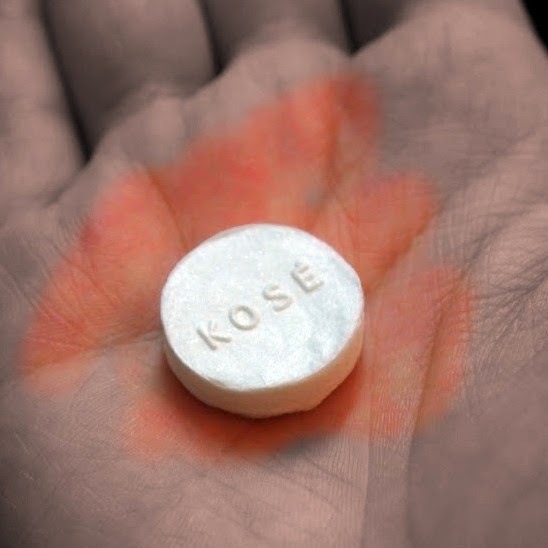 KOSÉ was originally from Japan and was founded in 1946, can you believe it? It’s already 68 years old! Introducing amazing Mr. Kozaburo Kobayashi, the founder of this superior product, KOSÉ still manage to continue its legacy to this day as a high quality product! So here I am going to show you ladies KOSÉ's best-selling product and also best whitening product Sekkisei Lotion! 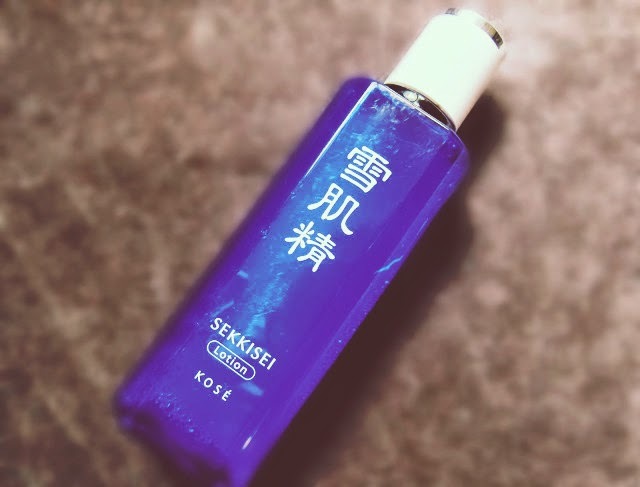 This is the SEKKISEI Lotion! Product is available in any KOSÉ counters!!! This is the mask where you suppose to dip it in the lotion. 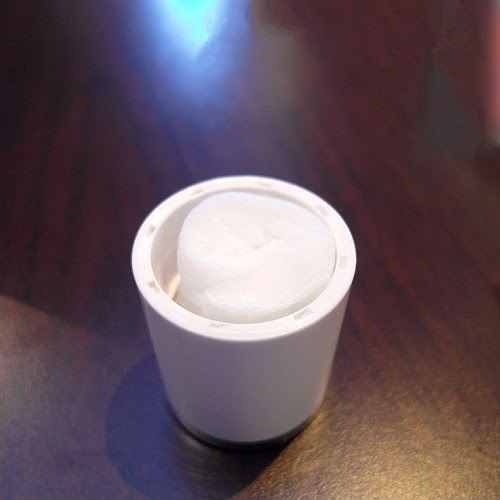 Pour SEKKISEI Lotion into cap until it reaches the line! Then, put the mask into the cap.Wait for few seconds or minutes to allow mask to absorb lotion till it puffs up. mask and place onto clean face for 5-10mins. Put the mask onto your cleaned face for around 5-10 mins, what I love about this mask is, the liquid instantly absorbed by your skin, compared to other brands, it usually takes it 30 minutes to be absorbed :( Then take off your mask, tap the remaining excess till it completely absorbed by your skin, no rinsing is needed! Before picture with makeup, I don't have much skin problem but sometime I do have dull and dark looking skin. After picture without makeup, my face instantly moisturized and my face got fairer!! How does this lotion gives such miracle to a women's life? Well, Based on a “beautiful translucent skin recipe” , the lotion contains approximately 100 types of oriental plants! It balances out the skin’s moisture levels, promotes whitening and prevent dullness, pimples ( every woman nightmares) and dry and flaky skin! As well as sunburned face. The white lotion blends instantly into the skin, creating moisturized young and plump skin as well leaving skin feeling silky smooth! It does not just can be used on face but whole body! 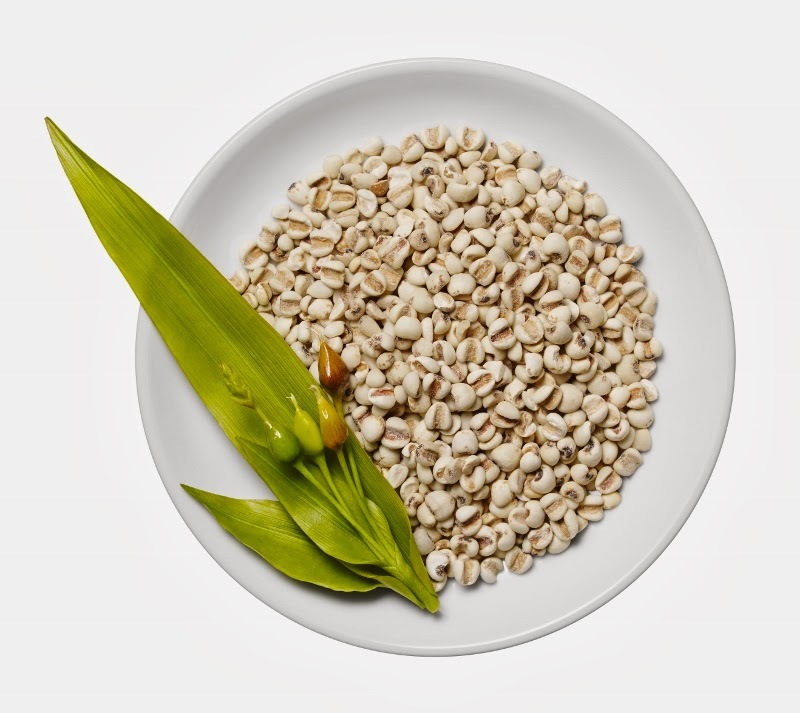 Coixseed Extract helps in increasing in metabolism rate, whitening, moisturization and prevention of skin roughness! 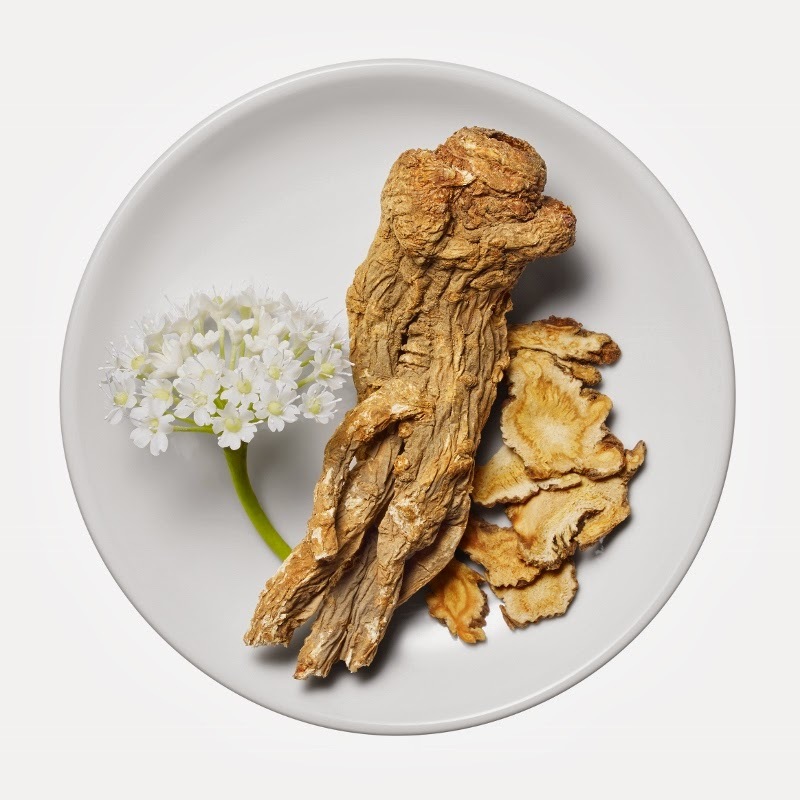 Angelica Extract have disinfectant which prevent skin from being infected or prevent pimples, also with whitening and moisturizing effects. Melothria (White Lotus) extract helps increase in melanin production that gives intantly whitening effects on the skin! 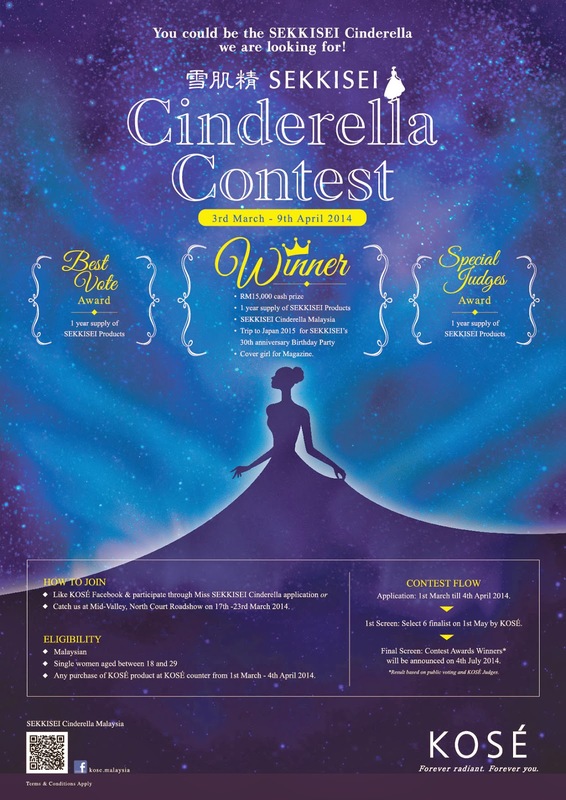 For beautiful girls out there, KOSE Sekkisei is having a Cinderella contest from 3rd March to 9th April! This is your time to shine! To participate,you'll just have to like KOSE Facebook https://www.facebook.com/kose.malaysia and join the apps! So for you lucky readers I have prepared a Giveaway! 25 of my readers, will be getting Kose mask from me, how to win? 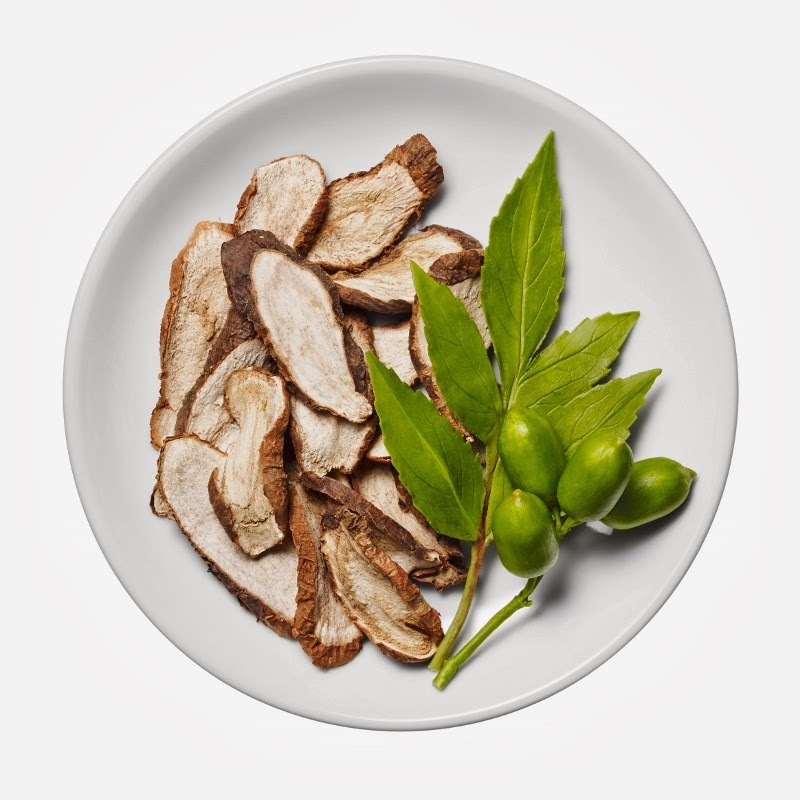 - What are the 3 main ingredients used in KOSE Sekkisei Lotion Mask? 4. Screenshot the two pages you like and the answers of the question above, then send to my email, "alvynnaeatsyou@gmail.com"
First 24 readers sent the email to me will be getting a free KOSE MASK! Contest ends on 9th of April! Good luck!!!! Hi ladies, I know there are times you are torn between being mature and being quirky because your age is between 17 and 21 and you don't know which and what to style yourself into, and that's what I'm having right now, but as you know, i'm not quite of a "sweet and cute" kind of girl, altho my pictures portray "sweet and cute" cuz ya i'm just so bad at looking bad altho i wear edgy clothes.....like all the time! Got yourself a super cute dress but you wore them every single time, in every single occasion? here's some tips, pair up with your coat if you have one, if not maybe your leather jackets, add in a black sling bag, it could be in any brand! and the most essential part of being bad is having yourself some BOOTS! Get yourself a boots, like now. This can tone down the sweet and cute style, even without the coat and the bag! Red lipstick is a MUST in being bad! Overalls is one of the tricky piece that is pretty hard to pull off, even I sometimes get really irritated because I always have problem pulling it off, so what's the key of having overalls for people that doesn't want to portray cuteness in their look? CROP TOP and ANKLE BOOTS! 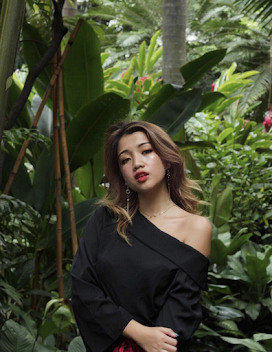 Since your pieces are mostly in black, I totally recommend on getting yourself a statement piece for your croptops that screams " LOOK AT ME", so you don't have look oh-so-boring all the time, especially when you're a dark colour lover like me. This is one of my fav look I did, it portrays a young and powerful woman. Baroque prints outfits are so IN right now, its print is so loud that people couldn't take their eyes of it, since the halter neck top is so plain, adding a loud print bottoms would make the whole look has more personality, I added Celine bag and Valentino heels to make the whole outfit looks expensive and gives the definition of luxury that defines a powerful lady, and ofcourse chocker, studs and red lipstick add more dimension into the whole powerful look and makes a person look few years younger! So I guess this would help for the ladies out there! HI! Kinda disappointed at myself and again I only update after few weeks of hibernating, actually no, i'm kind of busy lately that I get no inspiration at all to do some blogging, I'm so ashamed of calling myself a "blogger" but don't worry guy, this month I'm quite motivated because I'm moving to a new place and gonna start studying in Taylor's, so if any of you studying in Taylor's right now, feel free to comment down below, we could totally be bestfriends :P & I especially wanna meet new blogger friends that shares the same passion as I am. 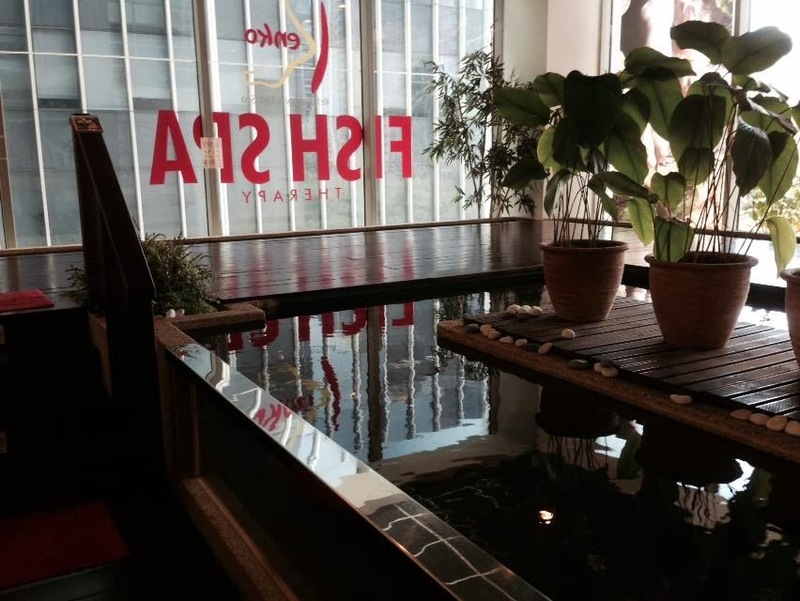 Well to be honest, I didn't know the existence of Kenko's Fish Spa in Pavillion, lets just say I walked from end to end just find where's Kenko Fish Spa is and I find out it's just at the corner opposite of GSC, which I passed through zillions time! Me and beautiful butterflies, met few friends there, i'm abit of an awkward penguin, trying to be more sociable if I wanna be an active blogger. Me & caroline's feet, look how clean our feets are! I guess that's all, if any of you drop by pavillion, feel free to visit Kenko's Fish Spa, and let me know what you think.